IDEOLOGY. 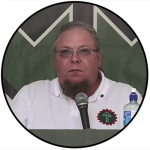 Jimmy Thunlind explains how the development of the countryside in a National Socialist society would solve the problems of today’s big cities and lead to a higher quality of life, more economic self-sufficiency and a responsible use of natural resources. The vast majority of the worst problems in Swedish society today are connected to the expanding big city areas. Housing shortages, overcrowding, serious crime, hospital waiting lists, failing schools, traffic chaos, exhaust fume emissions, alienation and no-go zones are just a few examples of the politically organised urbanisation. More and more companies are choosing to establish their headquarters and production plants in the already over-developed big cities, often leading to labour shortages due to a lack of housing for prospective workers. To make matters worse, the Zionist regime has ordained that all racial foreigners and invaders coming to Sweden are free to decide where they will live, which in practice means almost all settle in the big cities with their fellow countrymen and automatically jump ahead of Swedes in the housing queue. Meanwhile expanding urbanisation causes the opposite problems in rural areas. Greedy companies unhappy with transport costs and skill shortages move their operations to the big cities or abroad, causing a decline in living conditions in the countryside. 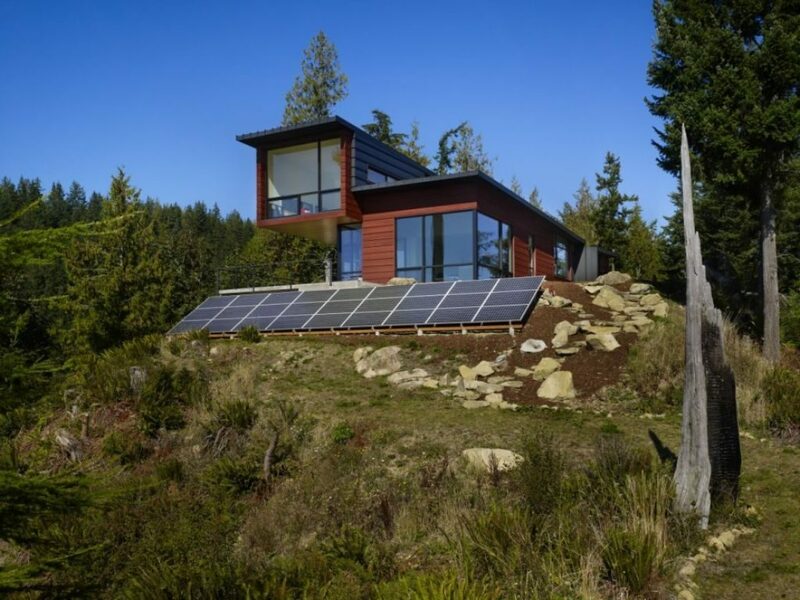 The traitorous politicians’ energy taxes have been purposefully designed to severely impact, and preferably destroy, the rural population’s economies. To hasten this impoverishment, the criminals in government shut down public services like schools, bus routes and train stations, and ensure the police and judicial system cannot uphold the safety of those living in sparsely populated areas. Economists and social researchers brainwash us with the message that urbanisation and societal development cannot be impeded, that it is a natural process, as if it were a matter of fate. But this is a lie. Rather it is a vital part of the globalists’ malevolent agenda to concentrate their power and enterprises as much as possible, both nationally and internationally. They work to remove people from their natural, cultural and geographical roots, to reshape them as anonymous, deracinated and disloyal consumers in a wholly artificial existence of concrete, shopping centres and multiculturalism. Build housing areas with extensive open space on the outskirts of metropolitan areas, thereby creating better living conditions as well as less costly commuting options for those living in the countryside but working in cities. Promote a more vibrant and sustainable countryside. Favour small businesses based in rural areas and decentralize large parts of the public realm, including education, health care, and cultural and recreational facilities. End the exploitation of Nordic forests. In a healthy society, the forests and all other natural resources should not be used as an inexhaustible resource with only the maximization of profits as an end goal. Combat the industrialization of agriculture and animal husbandry. Strict bans against GMO, chemical fertilizers and pesticides will be enforced. Promote small-scale agriculture. The more people who can supply themselves with food, the better. 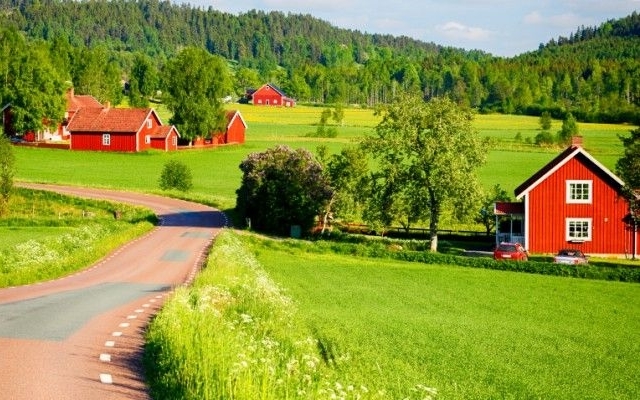 The above are examples of truly progressive measures for developing the countryside and giving people the possibility of a more natural and harmonious life in smaller communities where they are not strangers to one another and are close to the land they are both a part of and dependent on. They are policies that aim to halt the large-scale capitalist exploitation of our natural resources by returning their control to the people, to protect and use with respect and foresight. No so-called green parties offer anything close to this holistic worldview, in which the people are not regarded as superior to nature, as in the ruling ideologies of today, but in which man is subordinated to natural law and has a responsibility to coming generations to safeguard their inheritance. With the majority of people living in the countryside or in the cities’ outskirts, all social functions – such as schools, health care, transport, shops, workshops, trade services etc. – would create employment opportunities in these regions. If the state also actively supported small businesses and the development of forestry and agricultural methods, as well as environmentally friendly extraction of minerals and renewable energy sources, research and production in these areas would create a great many new and meaningful jobs. Via National Socialist policies of reasonable taxation and the abolition of interest, today’s high-income demands would be reduced, enabling more people to lower their work hours, and, in some families, necessitating that only one parent would need to be gainfully employed. This would create the conditions for a higher quality of life, increased fertility rates, more self-sufficiency and more time for fellowship and social activities. In completely unpopulated areas of the country, the state would finance innovative new settlements, where the local community would manage natural resources like woodland, mineral deposits, agriculture and wild game, in order to increase production and refinement of important products for the rest of society. The goal would be to produce as many goods needed domestically as possible, making us less dependent on imports and better positioned to handle crisis situations. By developing a vibrant and sustainable countryside, today’s big city problems could also be solved. When we have repatriated the majority of all racial foreigners from our country and decentralised sections of the economy to other regions, the cities would be reshaped into political and cultural centres with appropriate population sizes. And when urban architects are able realise their visions without ideological restraints, concrete ghettos and anonymous, misanthropic environments would be replaced with parks, ecological residential areas of homeowners with modern energy solutions, attractive buildings for cultural and social functions, and exciting attractions for both citizens and tourists. The coming National Socialist nation will bring a green revolution in which we preserve and interact with nature with consideration and respect. It will bring a red revolution in which we create a people’s community wherein everyone has a use and a place. 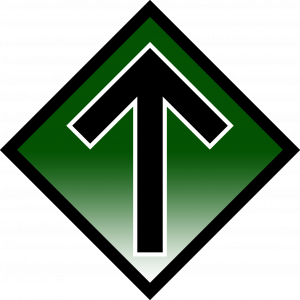 And not least, it will bring a white revolution, through which we will secure the survival and evolution of the white race in the Nordics. If you are not already a revolutionary, become one today!